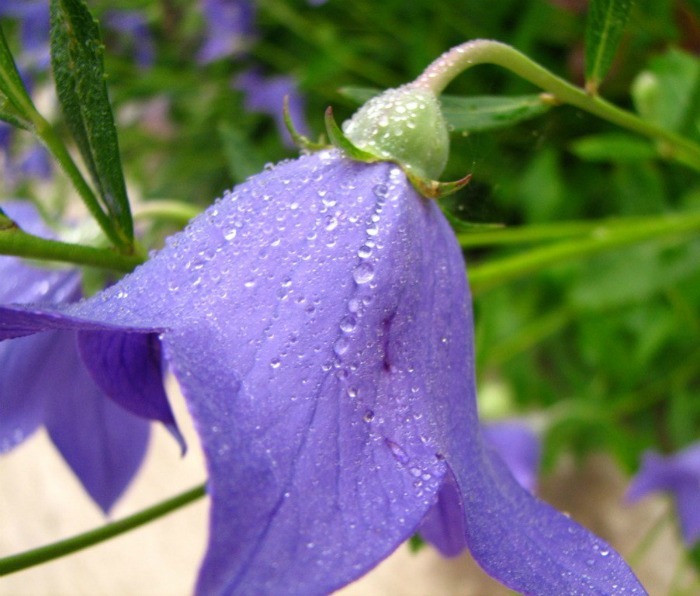 Balloon Flower, or Platycodon grandiflorus, is also known as Chinese Bell flower. The common names of this pretty perennial plant come from the plump found flower buds that resemble hot air balloons or Chinese lanterns before they open. This hardy and easy care perennial is one of my favorite summer blooming perennials. 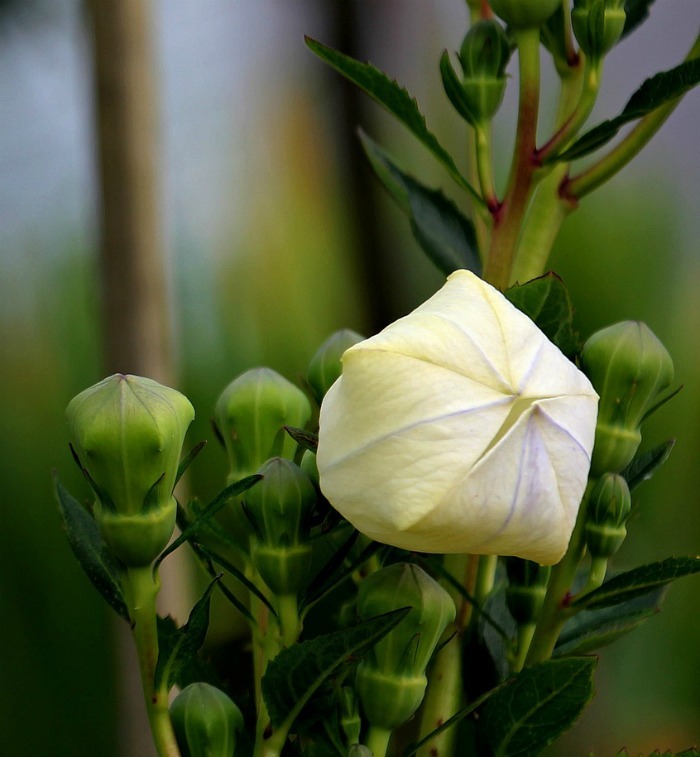 The shape of the flower bud is whimsical, resembling hot air balloons and kids enjoy these flowers in the garden. It is deer resistant and can take some periods of drought. Balloon flower does best in full sun but some afternoon shade in the hottest zones is also preferable since it prefers cooler summer temperatures. Chinese bell flower prefers a slightly acidic soil. Adding ground coffee grounds will help to raise the acidity of the soil. They don’t need much extra watering, although it does best if the soil gets regular moisture, and can take short periods of drought in stride. Organic matter, such as compost, added in the fall will replenish nutrients lost from flowering and will help them get ready for The following year’s round of growth. Even thought the buds on this plant are rounded like Chinese lanterns or balloons, when the flowers pop open they form a pretty star like shape. They are fun to grow with children because kids love the hot air balloon shape and like to pop the flowers! Flowering time is mid summer and the plant will keep flowering as long as you remember to dead head the spent flowers. The most desired color is blue, since there are so few garden flowers in this color, but Platycodon grandiflorus also comes in pure white, purple, and pink. There are both double and single varieties of the flower shape. This long lived perennial is deer resistant. 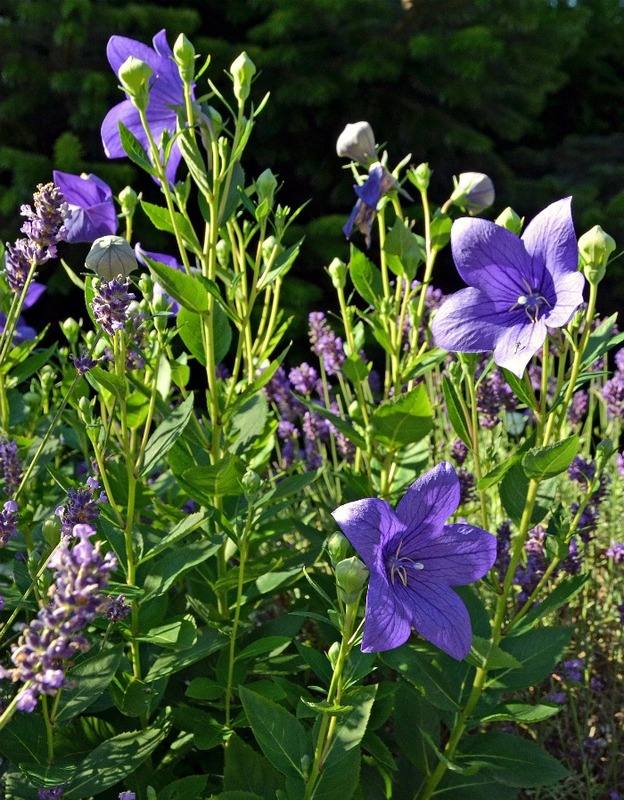 It is one of the few blue flowers that gardeners can enjoy. The blue and purple colors look great with the contrast of yellow black eyed Susans and Liatris. Daylilies also make good companion plants. Balloon flower does well in containers and is great for cut flowers. It attracts butterflies and is a magnet for birds. The plant looks great as a border plant and is lovely in rock gardens. The plant has a clump forming growth with alternate bright green leaves that form along the tall stems. Balloon flower will grow to about 1 – 2 1/2 ft. tall, by about a foot. to 18 inches wide. Dwarf varieties won’t grow much taller than 1 foot high. Late fall or winter planting of seeds is a good idea, since the seeds like stratification. The plant is not overly fond of being disturbed when planted, but careful division is sometimes successful. Cuttings taken in the spring will root. This hardy perennial is both cold and drought tolerant and grows well in zones 4-9 and possibly hardy in some zone 3 locations. 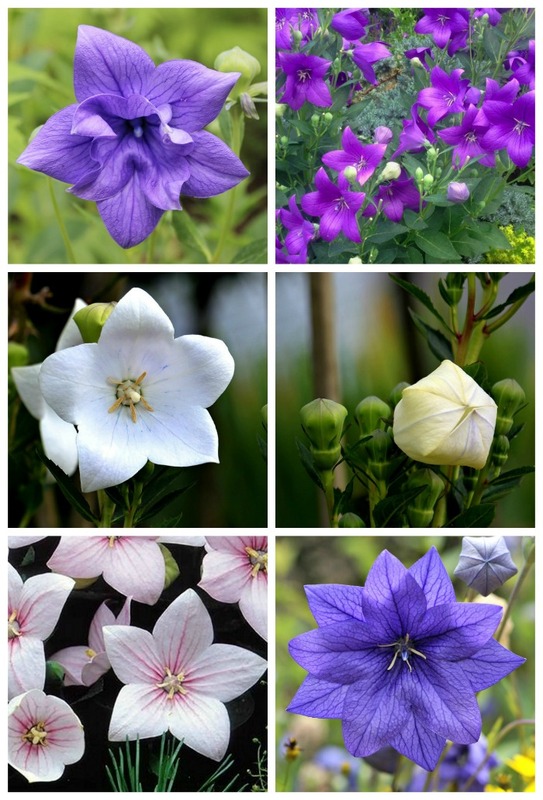 If you are looking for a lovely summer blooming flower that is easy to grow and long lived, try growing Balloon Flowers.